With all of the time and money that go into the creation of a company website, it’s in your best interest to bring in design and/or development professionals to do the heavy lifting. Even more importantly, once your website is launched, it’s going to need to be maintained. But if you’ve got enough on your plate to keep you from giving these maintenance tasks the time, attention, and proper handling that they need, you may need to seek outside help. A professional website maintenance service will ensure that your website is working as it should, and will spot and fix problems immediately before they cause too much damage. They’ll find errors for you. For example, what if your shopping page isn’t loading properly? That means you’re losing potential sales until it is fixed! Your site could also suffer from smaller issues that are more difficult to spot, like broken links or certain pages that aren’t loading properly. They can keep up with a regular update schedule. Keeping your website updated involves a number of things. For example, making sure that your website has all the latest security plugins and patches is integral to protecting it against hackers and malware. If you aren’t keeping up or simply forget to update your website’s core functionality, it will be more vulnerable, which will result in the loss of a huge number of potential leads and can also do serious damage to your web ranking. When things go wrong, they have the skills to fix them. What do you do if you run into errors on your website, like broken links or slow-loading pages? What if your website gets infected with malware? Preventing and spotting these issues is one thing, but dealing with them if they do happen is a whole different matter. A website maintenance service has the technological know-how to be able to restore your website to how it was before the problems arose. They’ll know how to properly optimize your site. A good website maintenance service should be knowledgeable in search engine optimization and able to ensure that every page of your website is properly optimized. Optimizing your website isn’t a one-time task—it’s something that needs to be done regularly. Your website needs to have new content on it in order to avoid stagnancy in the eyes of the search algorithm. 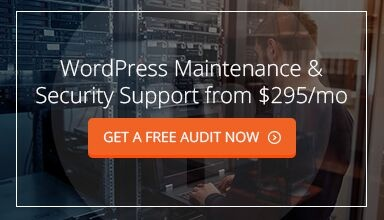 They can monitor your site performance. Certain website maintenance services will track your website and monitor the data in order to judge its performance. Using analytics tools, they’ll be able to measure how your web pages are doing with metrics like visit numbers, bounce rates (how many visitors leave the page after only a short period of time), what’s driving your web traffic, and more. This information is invaluable in adjusting your website strategy over time to accomplish your goals, whether you’re trying to increase leads, increase sales, or increase your company’s exposure. They’ll save you even more time than you might think. One of the biggest benefits of the experience and talents that a website maintenance service brings to the table is that it’ll ultimately help save you valuable time. Since website maintenance often takes time to do properly, if you don’t have the skill set to make the necessary fixes, it would most likely take you way longer than it would take a professional. This is time that you could be putting towards other areas of your business, making the cost of a website maintenance service well worth it. Considering how complicated it can be, hiring a website maintenance service is your best bet for ensuring that your company website remains up and running without any issues.